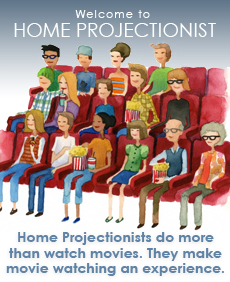 Home Projectionist | A unique forum for people who like watching movies and sharing the experience with the people in their lives. The opening and closing frames of 55 films, side by side. What might you get by combining the two stars of Alfred Hitchcock’s favorite film, with the same musical touch composer Dimitri Tiomkin gave to another Hitchcock thriller, Strangers on a Train? The best answer might be 1952’s The Steel Trap, a tense film noir from director Andrew Stone, available at the Warner Instant Archive collection. Nine years after Hitchock’s Shadow of a Doubt, Joseph Cotten (the Merry Widow Murderer ”Uncle Charlie”), and Teresa Wright (Cotten’s innocent neice, (“Young Charlie”) are paired again, very effectively (despite some age differences) as a middle class husband and wife. Restless bank teller Cotten carries out his routine vault duties, but his mind drifts to all the money within. He seeks an escape from his stagnant life, accompanied by a suitcase containing one million dollars in bills and, preferably, by his unsuspecting wife and their little daughter. Much too quickly and overconfidently, he devises his nefarious plan. Things immediately go wrong, however, and we’re brought along for the nerve-racking ride. If you’ve ever been running late for an important engagement, only to encounter every red light, train, or slow-moving vehicle ahead of you on the way, you’ll have an idea of what this would-be criminal experiences as he desperately attempts to carry out his heist. While I had some reservations with the film’s conclusion, The Steel Trap has a lot to offer, including extensive location shots of New Orleans’ French Quarter and elsewhere. Last but definitely not least is Tiomkin’s wonderfully moody score—as much a character of this film as it was in Strangers on a Train. Nearly every action, gesture or glancing aside has its own theme. We go abruptly from nervous to whimsical in matter of seconds, and it all works beautifully. An update of the January 3 post, with the inclusion of four five more films: American Sniper, Inherent Vice, A Most Violent Year, Still Alice, and Words and Pictures. An asterisk [*] indicates a Best Picture Oscar nominee. I thought 2014 was an exceptionally good movie year. Almost everything I was able to see was either excellent or very good. I hope the list I’ve compiled below will inspire a reader or two to catch one or more of them. Birdman * Rising above past perceptions. The perceptions others have, and the perceptions one has of one’s self. Wild “You can always quit”—whether it’s a 1,000-mile hike, or life itself. Into the Woods …and leaving a trail of Sondheim breadcrumbs to help find your way out. Boyhood * “I thought there would be more.” Growing up fast—before the camera, and before our eyes. Whiplash * Is nothing worth getting to, unless you’ve endured some suffering to get there? Snowpiercer “We control the engine, we control the world.” What’s left of it. Guardians of the Galaxy The Marx Brothers in space, with a 70s soundtrack. Magic in the Moonlight Is the magic real? Some of it isn’t, some of it is. Chef “I may not do everything great in my life, but I’m good at this.” Referring to being a father, and to being a chef, in that order. Le Weekend Exposing the weaknesses in a marriage; one that may or may not be ending. A Most Violent Year Oscar Isaac as a man resisting violence, despite the movie’s title and pressure from everywhere. Mr. Turner You’ll never look at a Turner again in the same light. Skeleton Twins Sibling rivalries, sibling similarities. Get On Up James Brown’s world. Chadwick Boseman channels it perfectly. American Sniper * Deadly accuracy from a distance, at the price of an ever-increasing emotional distance. Calvary A week of deadly reckoning for an Irish Catholic priest. The One I Love “Let’s try and re-create that moment…” and each other. Inherent Vice “Chinatown—if J.J. Gittes was a stoned hippie. Is its incoherence a vice? St. Vincent Vincent (Bill Murray) is not a saint. Imitation Game * A man with a big secret attempts to uncover the Nazis’ big secret, and pays dearly for all his efforts and successes. Still Alice Julianne Moore’s mesmerizing transition from brilliant communicator to a woman unable to recognize her own daughter. Big Eyes Big fame, big money, and a big lie. Theory of Everything * A relationship made in heaven. But will it stand the test of time? Godzilla The familiar roar is back: Long live the King of the Monsters. The Lego Movie Colorful, clever, and it all fits together. Lucy Refreshingly, a female lead in a plausible story that becomes unlikely and finally ridiculous. Jersey Boys Jersey—but not quite enough Broadway. Monuments Men The Dirty Dozen but, on a scale of 1-12, it’s only a half-dozen. The Judge Dismissed. Too many irrelevant subplots. Words and Pictures The words fail, and so does the picture, in spite of Juliette Binoche’s artfullness. Interstellar The launch (the movie’s first hour) is successful, but then there’s a major script problem. Birdman Rising above past perceptions. The perceptions others have, and the perceptions one has of one’s self. Boyhood “I thought there would be more.” Growing up fast—before the camera, and before our eyes. Whiplash Is nothing worth getting to, unless you’ve endured some suffering to get there? Imitation Game A man with a big secret attempts to uncover the Nazis’ big secret, and pays dearly for all his efforts and successes. Theory of Everything A relationship made in heaven. But will it stand the test of time? On this, the twelfth and final day of Christmas movies, we leave you with this classic, which features the debut of Bing Crosby’s “White Christmas,” and some amazing dance steps from Fred Astaire. Happy holidays everyone!